Welcome! We have created this site hoping to share our story as a means to fight stigma and promote support for those struggling with mental illness. 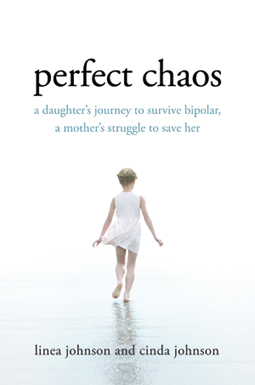 As a young woman diagnosed with bipolar I hope to use my experiences to speak for those unable to speak for themselves. As I moved through dangerous bipolar episodes, an eating disorder and self-medication I knew I needed to make a difference for others struggling with the same demons. Hospitalized with a 24 hour one-on-one hospital aide I could not help but cry for those less fortunate than me. I cried for those unable to get the help they needed due to financial needs and many other issues. In the past my goals of justice and community change were overwhelming and self-defeating, managing to crush my ability to act. Today, I have discovered ways to focus my energies towards a place where I can make a difference. In sharing my story and writing this book I hope to touch those struggling with the same challenges. I hope to touch those who do not understand. I hope to give strength to those who do not know how to help their loved ones. I am ready to be a voice to those who are either unable or too afraid to share their wants, needs, and hopes. After struggling with bipolar disorder, and seeking to educate ourselves as to the needs of those without resources, help, or the funds needed to seek aid we are ready to make a difference. We hope our story is helpful to educators, health professionals, friends and families of loved ones with mental health conditions and, most importantly, to those that know this struggle intimately.